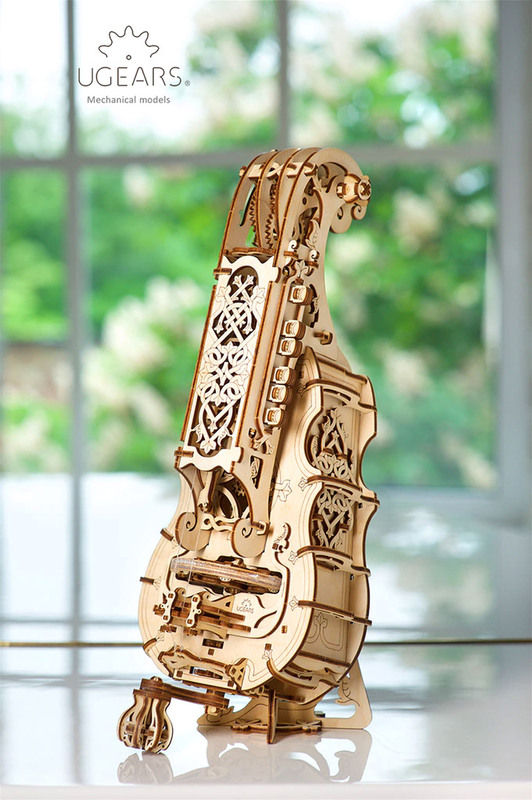 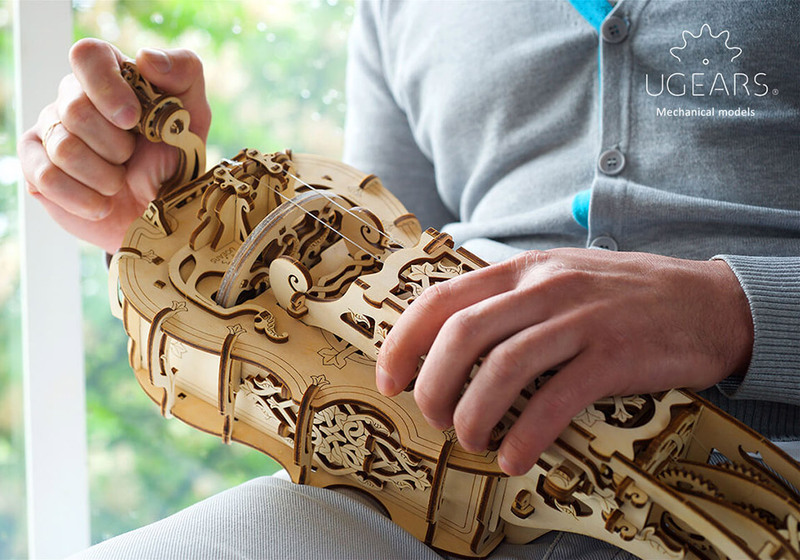 The hurdy-gurdy makes its distinctive sound by turning a rosin-coated wheel across strings as its keys are pressed. 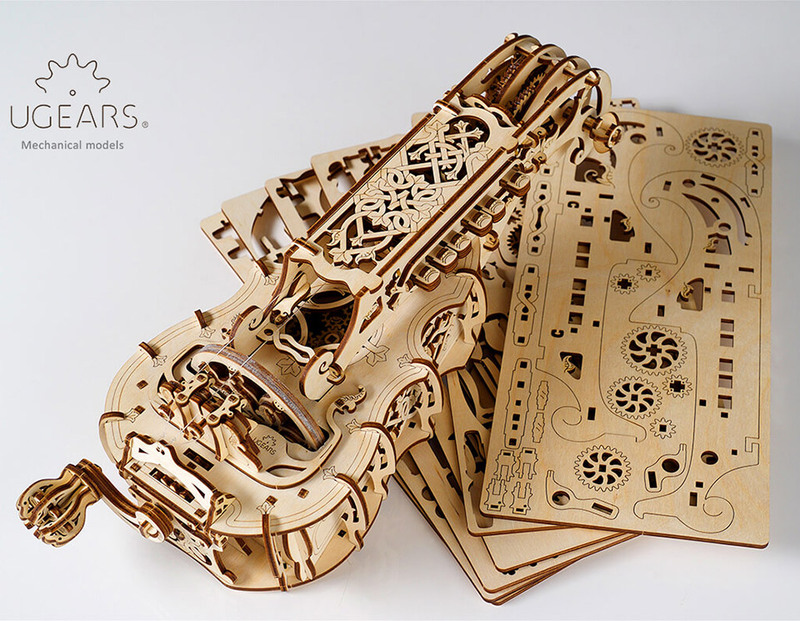 Now you can make your own with this flat-pack kit from Ugears. 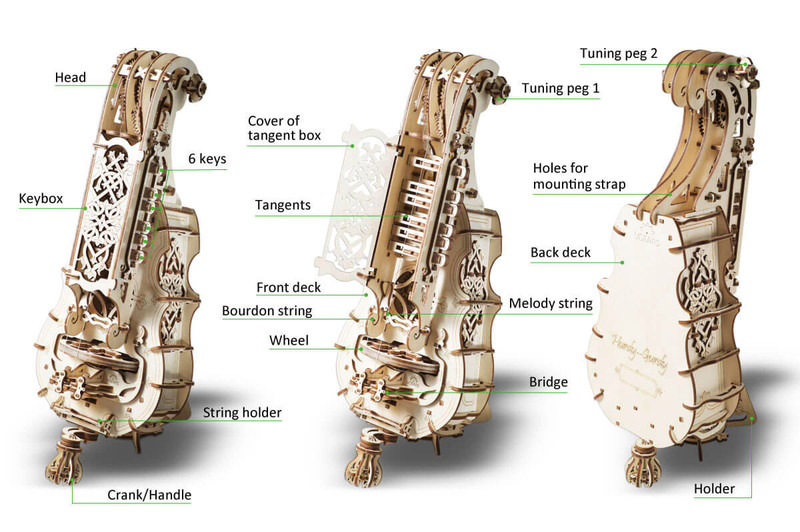 It looks like a very challenging build, but the end result is a functional musical instrument.